My language partner and I went to see «Президент Линкольн: охотник на вампиров» together, and when we sat down I thought he said to me, «Спусти этот хрен», which literally means “Lower that horseradish.” I was confused. I had misheard him. He actually said, «Спусти эту хрень» “Lower that thingamabob,” by which he meant the armrest between the seats. Here's how the word declines. The word is what we might call substandard speech. It's very conversational, not suitable for academic reading. It's probably also a euphemism for the vulgar meaning of хрен. But the version with the soft sign you can use in front of your mom and grandma without them getting too upset. Take a look at the entry on the phrase «вот это самое» for a synonym. Here are some examples. Передай мне эту хрень. Pass me that thingamabob. Возьми эту хрень, что оставил папа на столе. Get the thing that dad left on the table. The word is also used to mean a useless thing or junk or worthless comment. — Что продают в этом магазине? — Паша сказал, что у него девушка-супермодель. В России часто подают ростбиф с хреном. 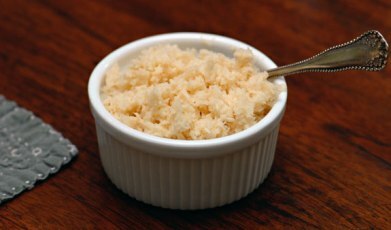 In Russia they often serve roast beef with horseradish. Мама приготовила салат из хрена с морковью и яблоками. (recipe) Mom made an apple, carrot and horseradish salad. Хрен богат калием, кальцием, натрием, серой, фосфором, железом и другими минеральными веществами. 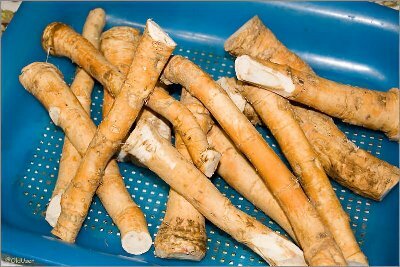 (source) Horseradish is rich in potassium, calcium, sodium, sulfur, phosphorus, iron and other mineral substances. Warning! The following paragraphs contain Russian and English vulgarity. Hello readers! I'll be honest with you. Last week was a frustrating and stressful week. Nothing went as planned and that left me grumpy. I even found myself throwing down an expletive or three.